We were met in Aragon, Spain by surprisingly cold windy weather, with the occasional smattering of rain causing the now regular issues amongst the riders. Despite this we still managed wins and podiums across the two races, with Chaz Davies getting a victory in Race 2 after an unfortunate Race 1 and Marco Melandri finishing on the podium in both races! Brilliant results for Tati Mercado – 7th & 8th Leon Camier 11th & 10th and Xavi Fores, who finished an impressive 6th especially after the first race, in which his bike spectacularly caught fire. Fortunately the injuries were only minor and as previously mentioned he was able to take part in Race 2 and finish well. Important victory in the Superstock 1000 for Michael Ruben Rinaldi, such an impressive championship opening for him, setting the tone so well for the future races. Also a good result for Marco Faccani finishing 5th after an aggressive race. Bad luck instead in Supersport for Caricasulo, out due to an unexpected high side that put him out of the game while fighting for the podium. 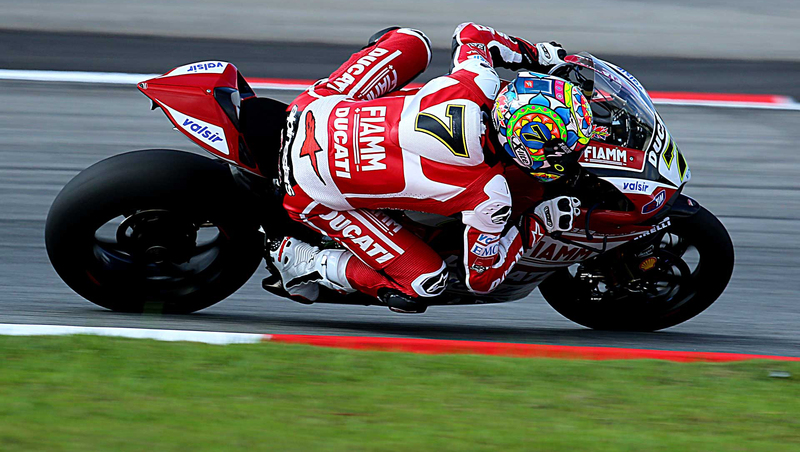 The next round of the Superbike World Championship is for the last weekend of April. We will go to Assen and find out what the weather has in store for us, and there’s also some more racing to enjoy!